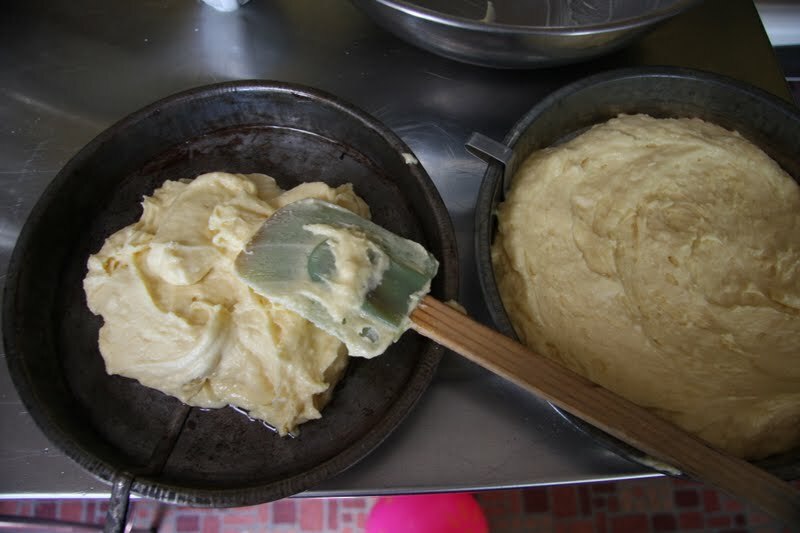 I have a real love for old baking pieces. There is something so inspiring about a great pie tin or cake pan that has made so many people happy. 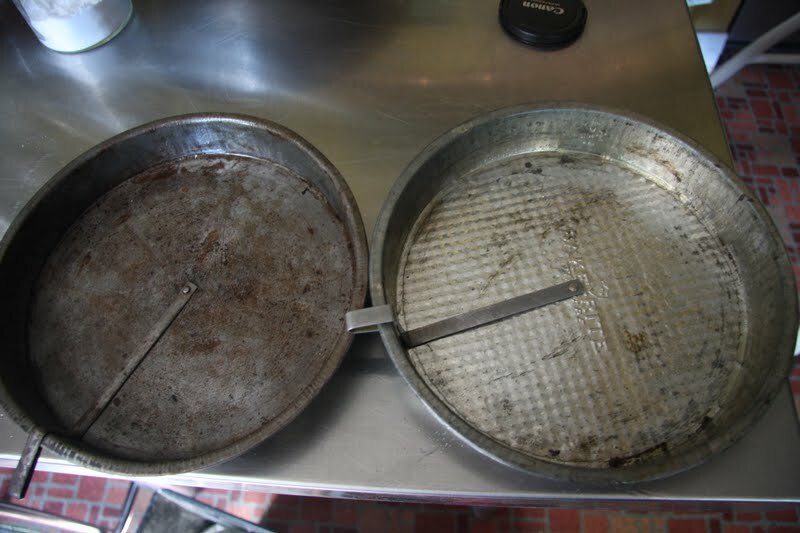 Imagine how thrilled I was when I happened upon these great traditional sandwich pans. They even have the pretty lever to help get the cake out. They’re weathered but properly seasoned at the same time and scream Victorian sponge cake to me. 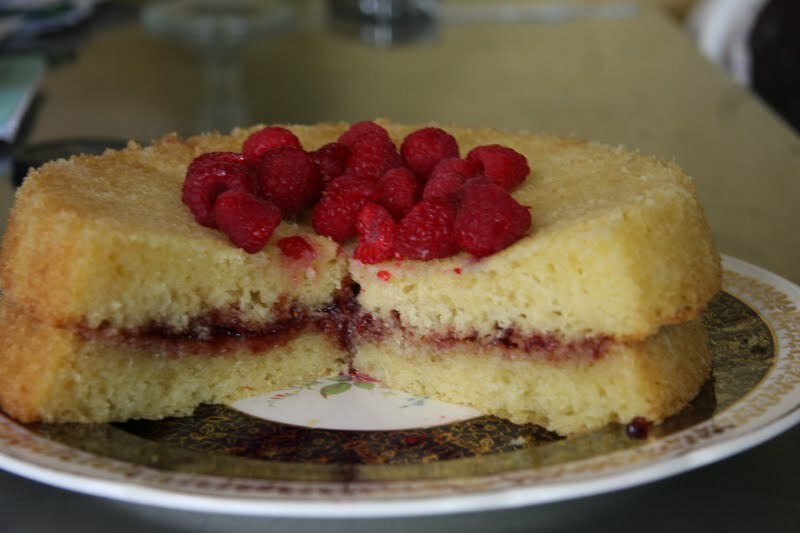 I’ve been using this recipe for this lovely cake since I went to school in the U.K. I clipped it from a magazine and adopted it as my own. I hate to say that I don’t know what mag it was from some 13 years later. 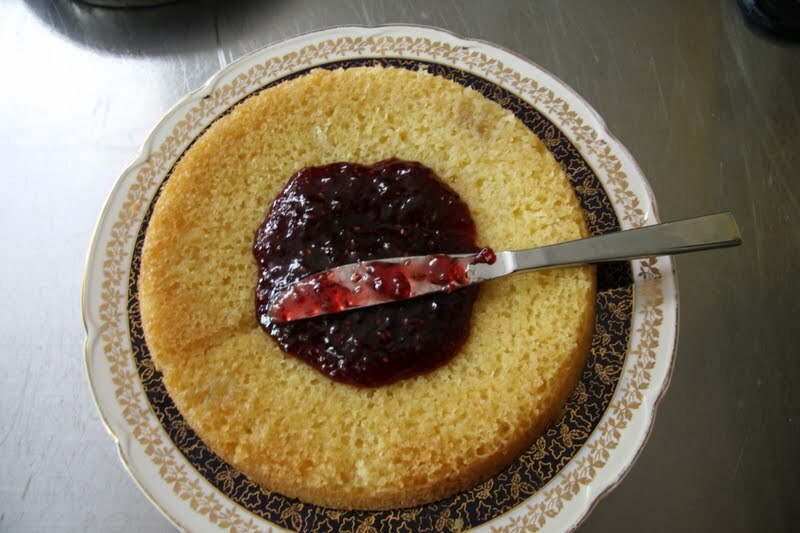 Delicious, plain cake that uses ingredients that you have in the house. 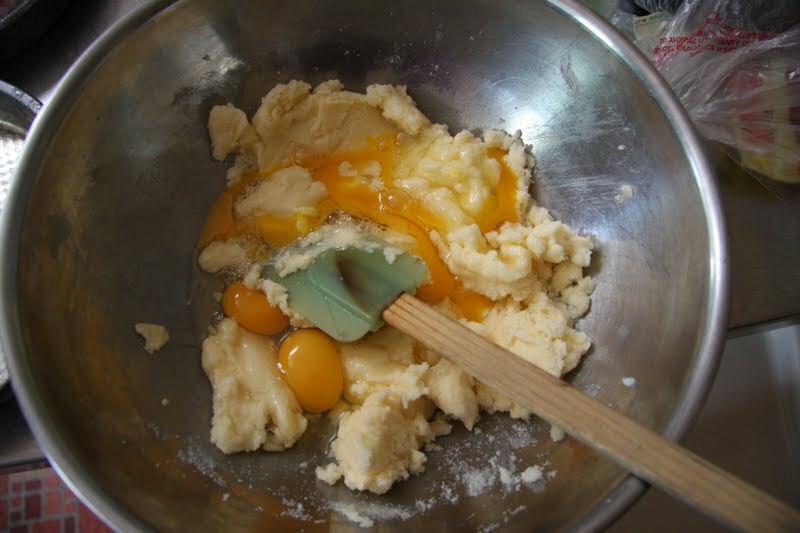 Make sure that your eggs are really fresh and have big, fat yellow yolks. 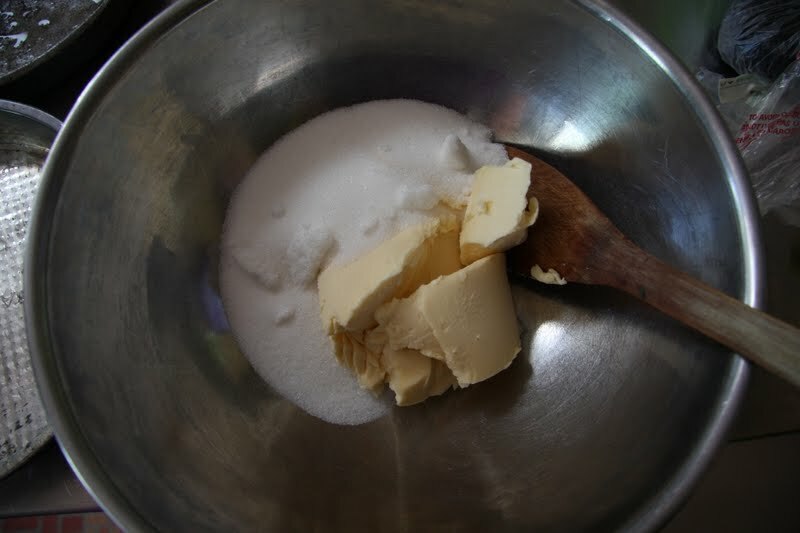 Cream 225 grams of butter with the same amount of sugar. Add four eggs and 1 tsp really, rich vanilla-beat like heck. 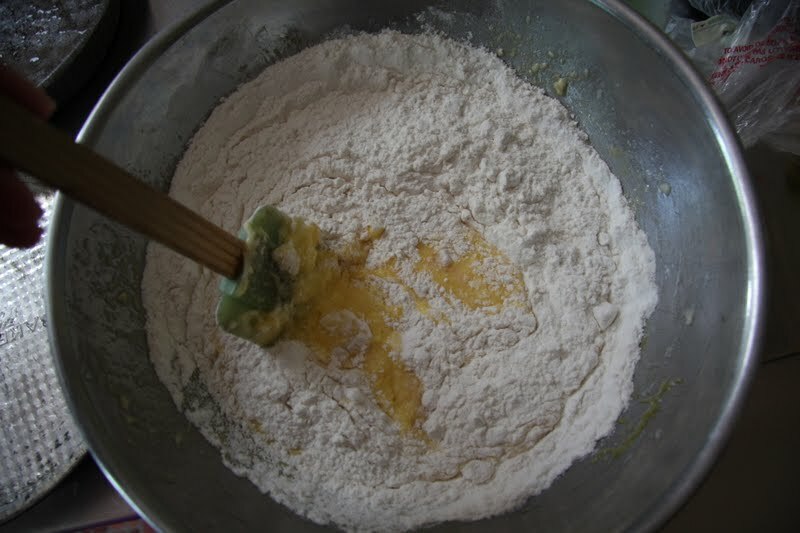 Add; 225 grams of flour, dash of baking soda and 2 tsp. baking powder. Stir to JUST combine. 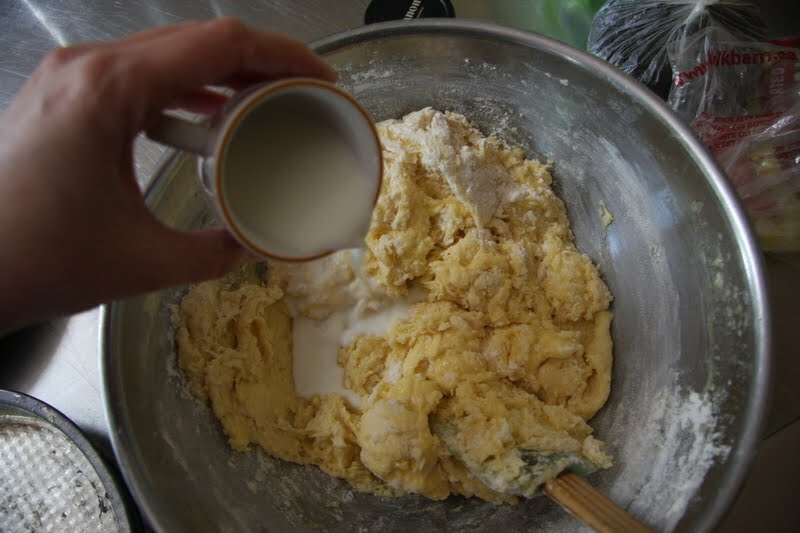 Drizzle in up to 4 T. of milk to loosen the batter a bit. Pour into greased baking tins (also makes really good cupcakes) and bake at 350 for approx. 20 minutes. 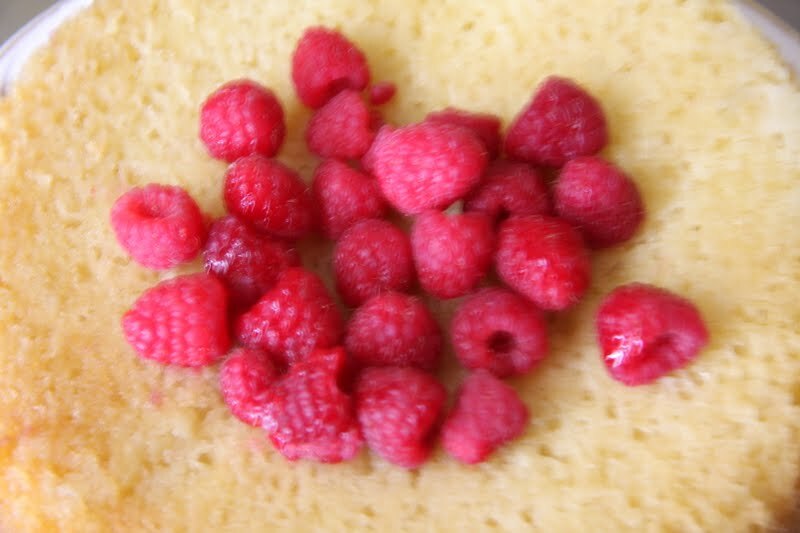 Sandwich your favourite jam (I like raspberry) in the middle (or fruit and cream). Hmm..throw some fresh fruit on the top so that you feel virtuous. 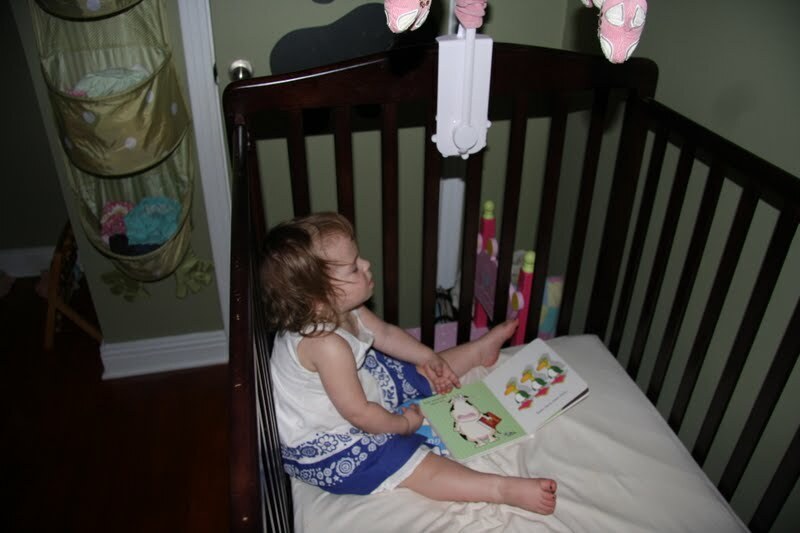 Eat after having a nap with your favourite book. 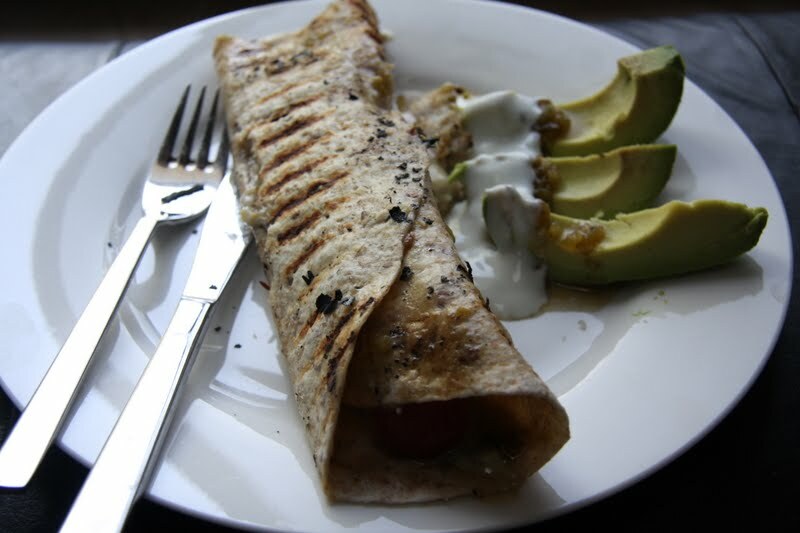 I was watching Rachael Ray the other day and she had a really nice twist on quessidillas that I was dying to try. Simple beyond belief and a sort of cross between pigs in a blanket (how many can you down of them!?) and melty, wonderful cheese. 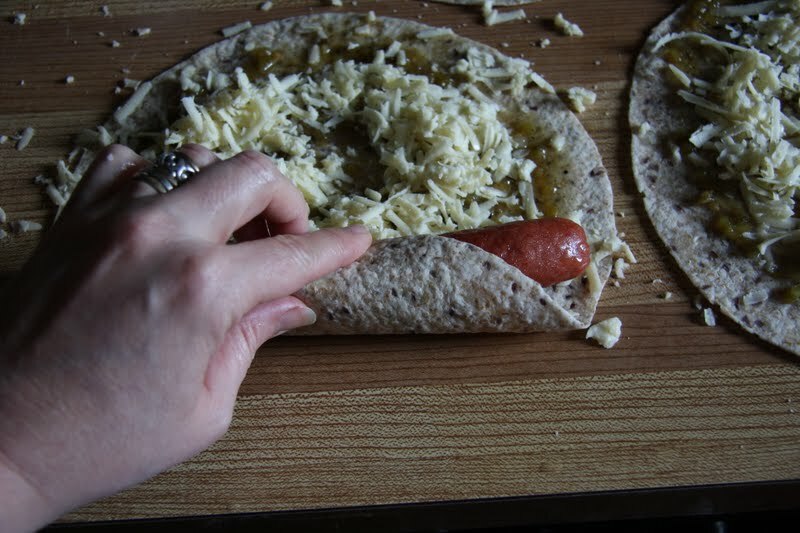 This week is a bit crazy for us with the build still in full swing (hopefully the entire house will have new windows by Friday-which means every room will be destroyed in the place), me working on a project for the Ministry and the husband out of town for three days so quick dinners are needed. 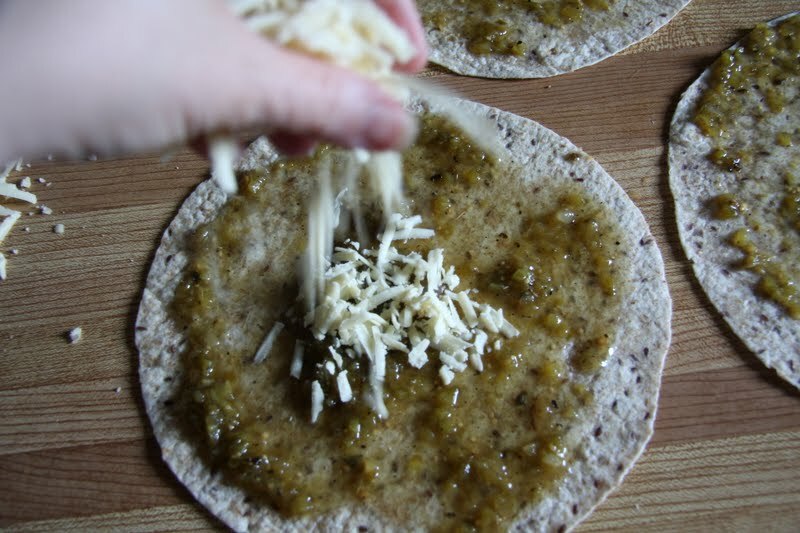 Simply take a tortilla and spread with some green chile salsa (any salsa would do but this was her example and “When in Rome…”), sprinkle with cheese. Place your doggie (mine are already cooked and all beef so this isn’t truly a ‘piggie’) at one end and grill on the bbq. I used a random generator (sorry, can’t get it to show-up) and the winner is vinobaby. Send me your info and I will get your prize out to you! I’m sorry for the brevity but I’m using my I-phone for this post. I unearthed this gorgeous pitcher while helping to pack-up my father-in-law’s house. My favourite find-totally free. 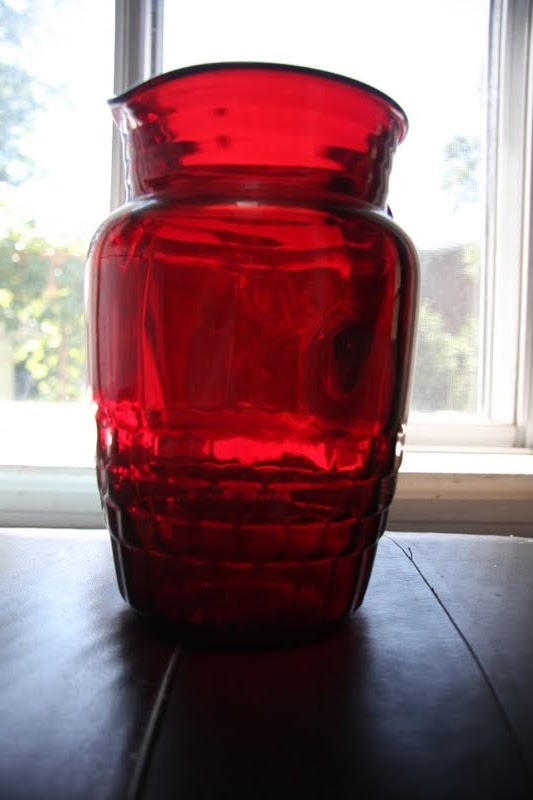 I love the ruby tones to it and although it looks like it would be heavier than heck it is actually fairly light even when full. I envision Sangria and lots of Mojitos filling this for the rest of the summer. It will aid my peace and quiet while they are drilling all over my house. With my lovely cocktail I want a “ladies-who-lunch” sort of salad. 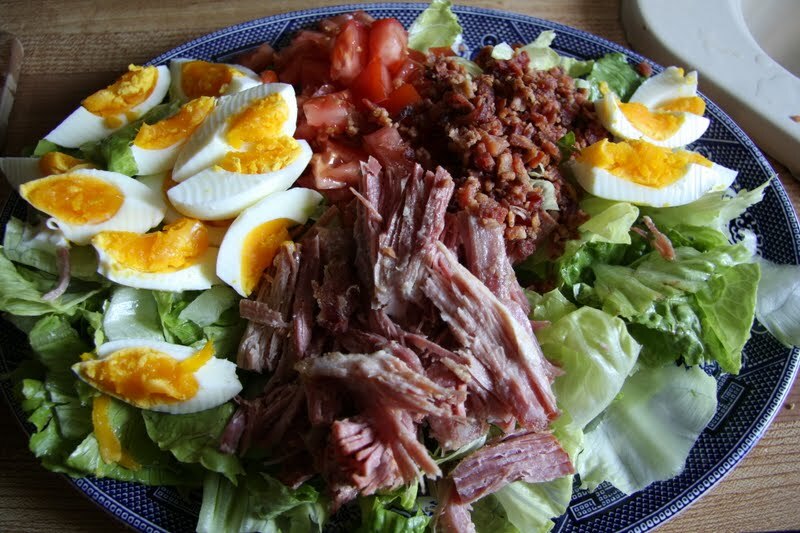 I made a ham in my slowcooker the other day so a really nice Cobb salad it is. There are lots of different versions of Cobb this is my favourite. If you aren’t a fan of some part of it then exchange the ingredient for something you like. 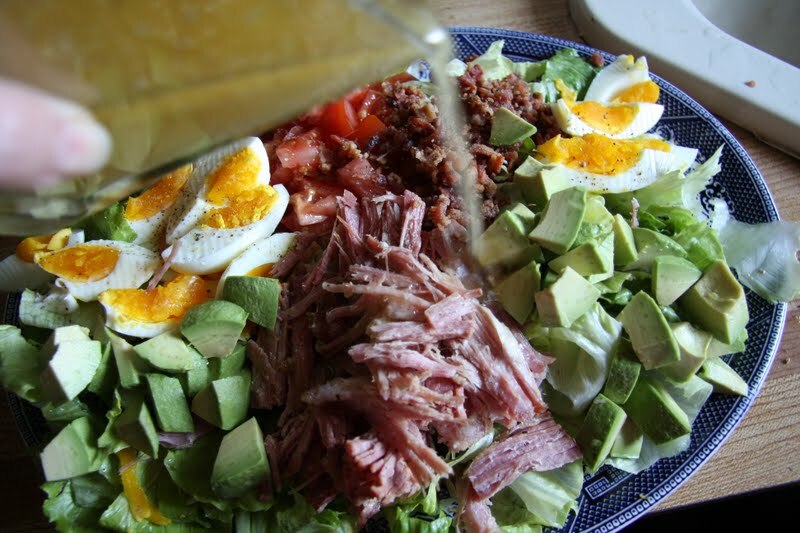 The key elements are the avocado and the eggs. Firstly, I want a nice light dressing. 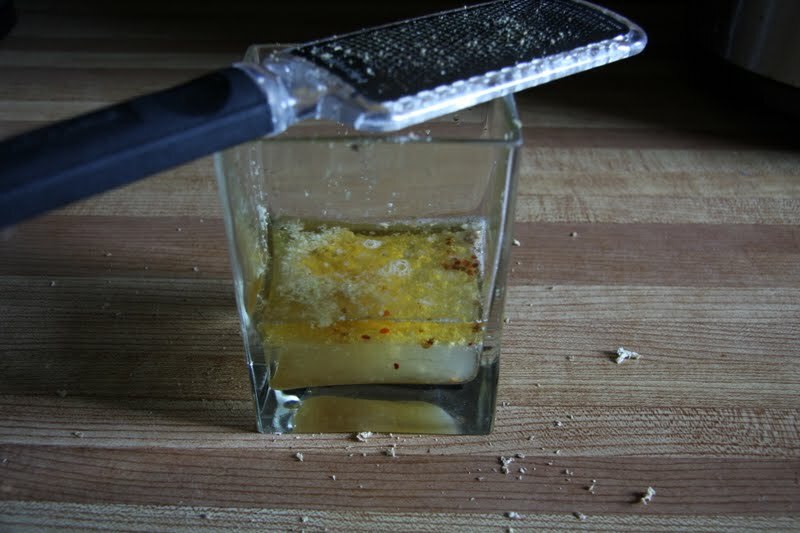 I’ve got; the juice of one lime, 1/4 cup light sesame oil, 1/4 cup rice wine vinegar (unseasoned), 1 T. brown sugar, a dash of crushed chiles and 2 tsp. of grated ginger. 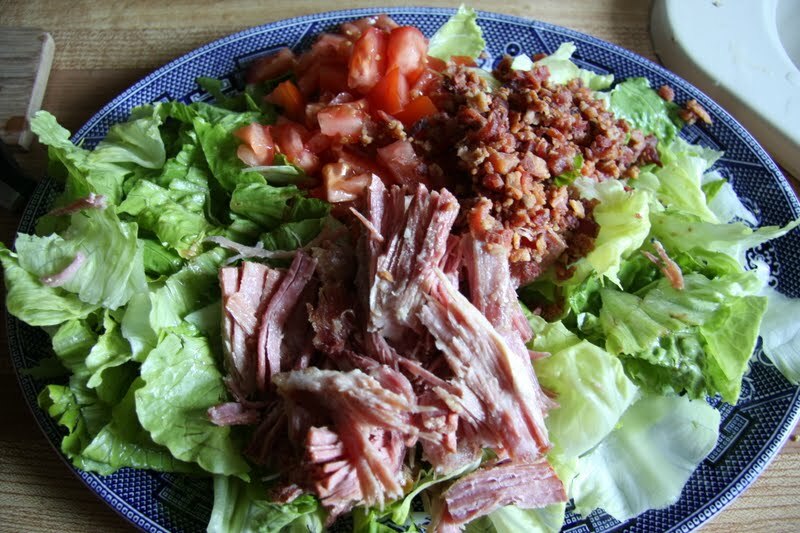 Now, choose a pretty platter and line it with chopped lettuce. Bibb is really nice but I had romaine so that is what it is. Start layering on the toppings. 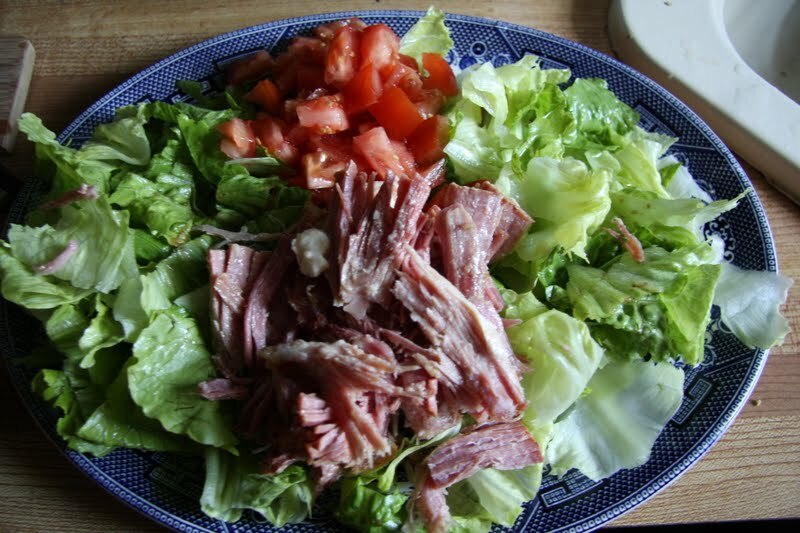 Chopped tomatoes and shredded ham (if you don’t have leftovers just use deli ham). Finally, some cream avocado and your lovely ginger dressing.